A day after Sonam Kapoor and Anand Ahuja officially announced their shaadi, wedding invites of the soon-to-be married couple have been doing the rounds on social media after they were originally shared by Spotboye first. The invites includes three separate cards for the three separate functions - mehendi, the wedding and a party - to be held over two days. The invites are clearly inspired by nature and have been designed with shades of green with three different designs of foliage printed on them. Photos of the invite, which are now viral on social media, also reveal the detailed itinerary of the two-day wedding festivities. Sonam and Aanand reportedly opted for e-invites to skip wastage of paper. 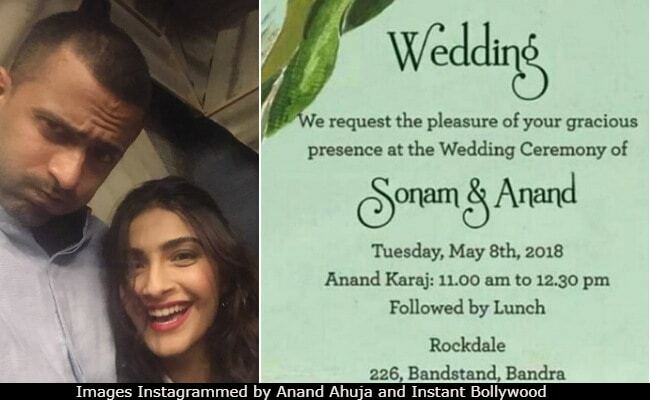 Sonam and Anand's mehendi ceremony will take place in the evening of May 7 at the Sunteck, Signature Island in Bandra. The wedding is scheduled for the next day with Rockdale (which is reported to be the bungalow of Sona's aunt) as the venue. The timing mentioned for the day wedding is 11 am to 12 pm. The wedding festivities will be wrapped with a party in the evening at The Leela in Mumbai. The Kapoors and Ahuja's have also mentioned dress codes for the separate functions and added a little note: "Your presence on our special day is the only gift we desire." 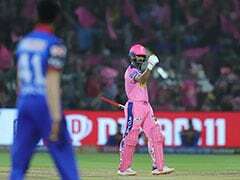 After weeks of speculation about will-they, won't they, the couple officially announced their wedding with a joint statement on Tuesday: "The Kapoor and Ahuja families, take great joy and pride, in announcing the marriage of Sonam and Anand. The wedding will take place on the 8th of May in Mumbai. Since it is an intimate affair, we request you to respect the family's need for privacy. Thank you for all your blessings and love, as we celebrate this special moment in our lives." However, there is no mention of a separate sangeet ceremony in the wedding cards. Earlier, it was reported that Karan Johar was in charge of her sangeet while Farah Khan was to choreograph the ceremony. Last week, the paparazzi spotted Farah Khan, Karan Johar and Masaba Gupta dropping by Anil Kapoor's home on Friday night. Sonam Kapoor and entrepreneur Anand Ahuja, who are rumoured to be dating for two years now, are frequently spotted together, both on social media and in real life. In February, Anand accompanied Sonam to her cousin Mohit Marwah's wedding in Dubai and later, was also photographed with Sonam and her family at Sridevi's funeral in Mumbai. Apart from her wedding preparations, Sonam Kapoor is also busy with promotional duties of Veere Di Wedding, which releases on June 1. Sonam will also walk the red carpet at the Cannes Film Festival on May 14 and May 15.